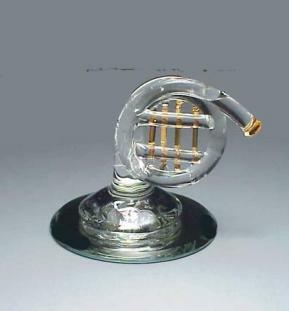 This is a sweet hand blown rendition of a French horn. It stands approximately 2" high. Will be a lovely addition to a collection or just a thoughtful little gift.